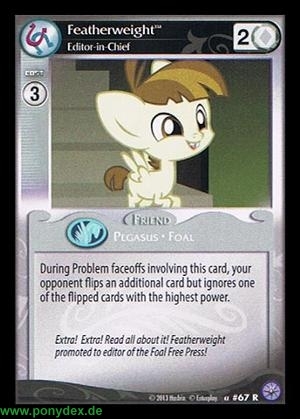 During Problem faceoffs involving this card, your opponent flips and additional card but ignores one of the flipped cards with the highest power. Extra! Extra! Read all about it! Featherweight promoted to editor of the Foal Free Press!